Elliot Eland was born on 27th February 2010 with a rare genetic disorder: Angelman Syndrome (AS). AS is a neuro-genetic disorder and with less than 1000 cases recorded in the UK, Elliot is a very special little boy. 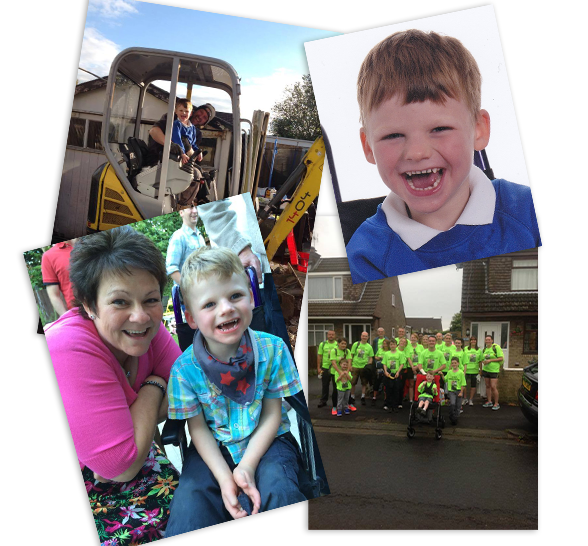 Characterised by intellectual and development delay, speech impairment, feeding difficulty and frequent laughing, Angelman Syndrome will affect Elliot throughout his life and One Big Tickle is a Fundraising Society created to support Elliot as he grows into a strong, young man. In November 2010 he needed a nasal gastrostomy to recieve baby milk, and still has a PEG tube to his stomach. He was diagnosed with Epilepsy in December 2012. Despite his happy demeanor and contented nature, Elliot will always need the care and attention that all children with a disability require. We created One Big Tickle to help ensure that Elliot receives all the extra help and support he may need, allowing him to live a happy, healthy life. We think that raising awareness of the syndrome, and additional needs in general, important too. One Big Tickle is a fundraising society for Elliot Paul Eland, all monies raised will benefit Elliot directly.